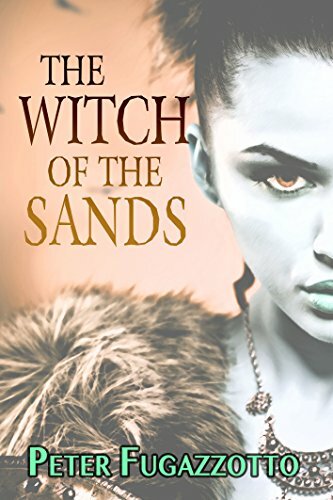 Peter Fugazzotto's The Witch of the Sands is a solid novella. Very much like Glen Cook's The Black Company, this features a band of hired warriors (Hounds) set on quests/errands that once aligned with Shield's personal goal (kill all warriors and witches since they, namely the Warlock King, killed his father). Here the Celtic/Viking-like Hounds deal with a Roman-like leader named Cassius (a nod to the "lost" IX legion) to (a) murder a magic-less chieftain (reasons unknown) and then (b) seek out the titular witch of the sands. The author handles the group well, assigning simple but effective names: Shield, Harad, Hawk, Patch, the Brothers Bull, Night (my favorite stealthy fighter),etc.. It's a fun squad with decently involved backstory and tension. Fugazzotto's martial art experience influences the fights, with just the right amount of descriptive positioning and movement. Plenty of sorcery and undead horror here, and the final battle is compelling--delivering a mix of betrayal, music-based magic, and bloody melee. Without spoiling, not all is answered about Cassius's intentions. I would have have enjoyed a clearer tie-in between missions. I suspect that may be answered in subsequent installments. The characters and writing style serve as a solid introduction to the Hounds of the North. Shield carries his team and the story... and the readers. You'll undoubtedly follow to book 2, Black River. An obvious must-read for Grimdark readers and fans of Glen Cook.